While we take the art of wine making seriously, we like to have fun too. 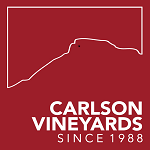 Since 1988 Carlson Vineyards, a small farm winery, has produced premium wines in the heart of Colorado wine country above the town of Palisade and the Colorado River on East Orchard Mesa. We welcome everyone – wine lovers, the curious, family and friends – to join us in our casual and friendly tasting room. A local favorite, Carlson Vineyards was an early pioneer in making wines with local, Colorado grown sun-ripened fruit and wine grapes. Find your favorites among reds, whites, blends and fruit wines – from dry to sweet. Well-known for Riesling wine, CV won the prestigious World Cup Riesling Award in New York! Gewurz sells out each year, and has won numerous awards including “Best of the Fest” twice at the Colorado Mountain Winefest. Recently the Palisade Peach wine won Double Gold and inclusion in the Colorado Governor’s Cup Niche Case for Best Fruit Wine. The vineyard, one of Colorado’s oldest, dates to a first planting in an old apricot orchard in 1981 and first commercial wine in 1988. As one of Colorado’s biggest fruit wine producers, the winery produces 10,000 cases a year, one third of which are fruit wines. The fruit wines are 100% Colorado fruit. Stop by the vintage tasting room to see why Carlson wines are so popular. Enjoy free samples of affordable luscious wines that stand as a signature of western Colorado. You’ll notice the not-so-serious labels, using local motifs such as prairie dogs and dinosaurs. Try the T-Red, made from the spicy, peppery Lemberger grape. Relax in the backyard and take in scenic vistas of the Grand Valley. Tours of the solar-powered winery, tastings and sales daily year ’round from 10a-5:45p except major holidays. Pet friendly. Located on the Fruit and Wine Byway, Palisade’s classic cruising and bicycling route. If you are a retailer interested in selling our wines, please contact Republic National Distributing Co. in Colorado. East Orchard Mesa: Hwy 6 east from Palisade, turn south on 38 Road, follow yellow centerline 5.5 miles.